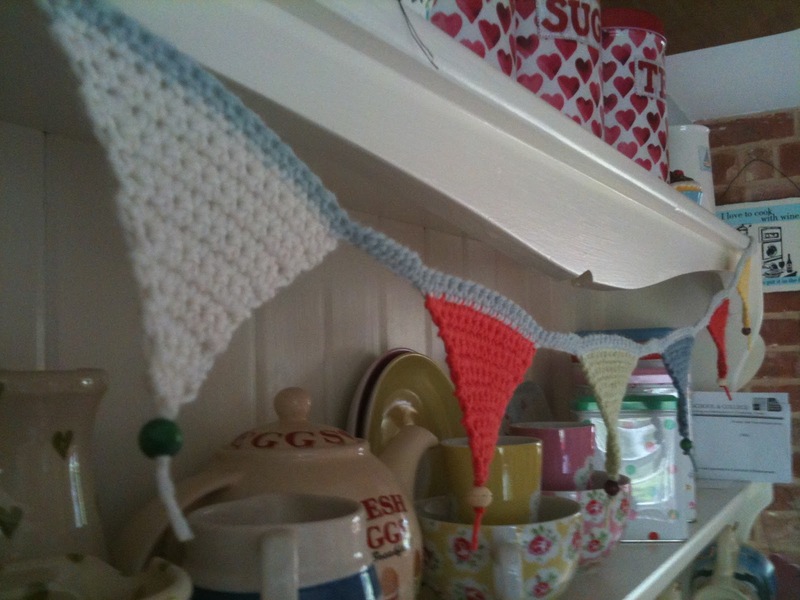 Having not blogged for absolutely ages, I thought I’d better get back in the swing of things and share with you the project I made today – crochet bunting. 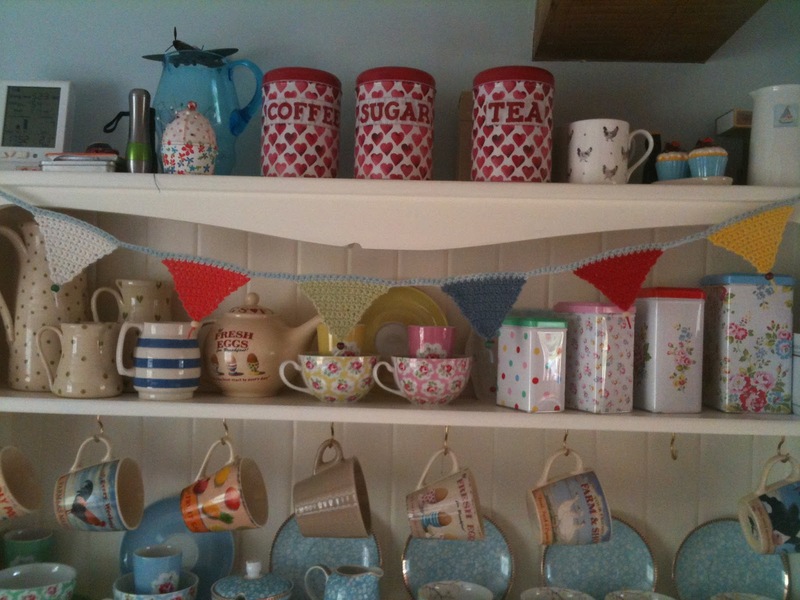 All these jubilee festivities got me thinking and with the news that in the UK over the Jubilee Holiday over 2000 miles of bunting was sold and displayed, I thought I would add to the festivities and make my own – only to go over the dresser but I think it looks kind of cute! I am currently mid-crochet in a blanket project, but after countless granny squares I was getting a bit bored so thought I’d whip up some bunting. Took hardly any time and was very easy – just single crochet stitches which are easy to master. 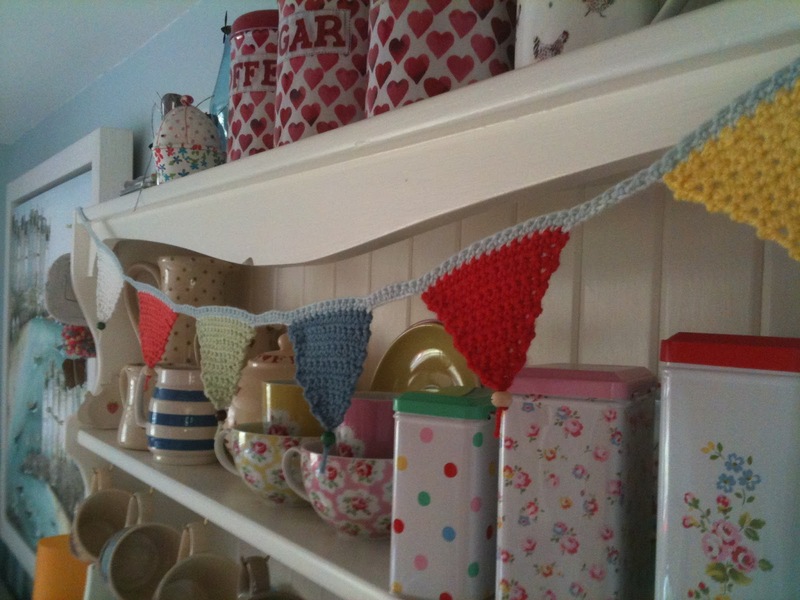 I will post some pictures of the blanket as soon as this progresses but until then bunting will have to do!